It is a two year program. Successful completion of the 7th grade CCD Classes or Catholic School must be completed order to enter the Confirmation Class. 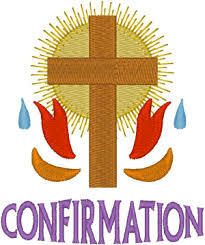 WHAT: Confirmation Classes consist of regular religion classes on Sunday mornings, special retreats, a required number of service or volunteer hours and, of course, regular attendance at Mass. WHEN: Date is scheduled by the Bishop. Usually in the Spring of the year.